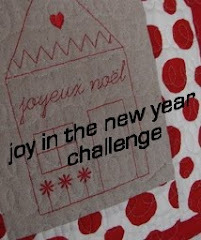 Confessions of a Quiltaholic: Another Swap!! The blocks from my teammates in the Scrappy Christmas Hedgerow Block swap are starting to arrive and they are just GORGEOUS! I have to post photos because they are so wonderful. I love them! Fingers crossed they are having the same reaction to the blocks I sent out. 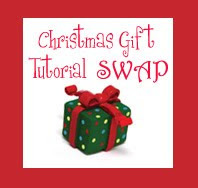 And while I'm on a roll, I signed up for Fancy Peacock's Christmas Gift Tutorial Swap! Check it out and sign up too! There are a lot of crafty ideas I've seen perusing my (VERY long) list of favorite quilty blogs, but I think I'm going to do this Cottage Chic apron tutorial from Grosgrain Fabulous. I've been itching to sew an apron for a long time now and this is the perfect jump start!